China’s debt-ridden conglomerate Dalian Wanda continued paring back assets by selling its remaining 37 department stores to e-commerce giant Suning.com in another move to consolidate the business and pay down debts. Suning, one of China’s largest online retailers, will acquire the 37 stores from Wanda Department Stores Co. Ltd., a subsidiary of Wanda, for an undisclosed amount, according to a company press release Tuesday. Shenzhen-listed Suning said the size of the acquisition didn’t meet the threshold for public disclosure, and details of the deal will be published in the company’s financial reports. According to Suning, the 37 department stores are mostly located in first- and second-tier cities and have more than 4 million member-customers. The acquisition is an important part of Suning’s 2019 strategy to bolster its presence in the retail sector while further integrating its online and offline services, Suning said. Wanda, one of China’s largest commercial property developers led by billionaire Wang Jianlin, has stepped up efforts to pare down non-core assets as the company seeks to reduce its debt overhang after years of aggressive business expansion ranging from entertainment to retail to finance and technology. Established in 2007, Wanda Department Stores enjoyed rapid growth between 2011 and 2013 to become China’s biggest department store chain with 99 outlets by the end of 2014. Wanda Department Stores reported 25.6 billion yuan ($3.8 billion) in revenue in 2914, up 65.3% from the previous year, according to Wanda. However, many of the stores have suffered huge losses since 2015, prompting Chairman Wang’s call for a business restructuring that led to the closure of 46 stores. In 2015, Wanda Department Stores posted a 10% revenue decline to 23 billion yuan. Revenue in 2016 further fell 22.7%. 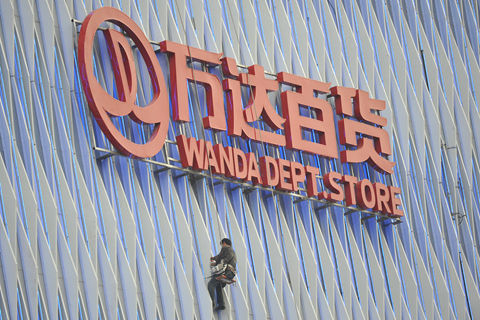 As Wanda shifts its business strategy from rapid expansion to greater concentration, Wanda Department Stores will no longer be a focus of the conglomerate, said a person close to Wanda. 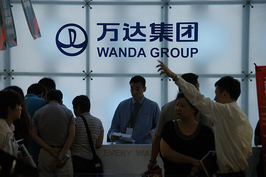 Wanda started to offload assets in mid-2017 after Beijing launched a wide-ranging campaign to lighten heavy corporate and government debt loads. 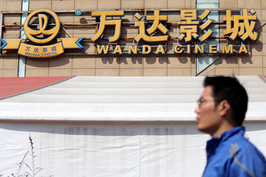 The latest asset sale came in October, when it sold Wanda Cultural Management Co. Ltd., the management arm of its former theme-park division, to Sunac China Holdings Ltd. for 6.28 billion yuan. Wanda’s Wang proposed to cooperate with Suning in retail business in 2017 in hopes of digitizing physical retail stores to integrate consumers’ online and offline experiences. Last year, Suning invested 9.5 billion yuan for 3.9% of Wanda Commercial Management, Wanda’s major real estate business unit, as Wanda sought to team up with more tech leaders to bolster business. As of Sept. 30, Suning operated 6,292 retail stores along with its online marketplace. The company has sped up efforts to set up more retail outlets across the country to compete with rivals including Alibaba Group and JD.com. For the first three quarters of 2018, Suning posted 31% growth in revenue to 172.9 billion yuan, with net profit rising eight-fold to 6.1 billion yuan, according to company financial report.